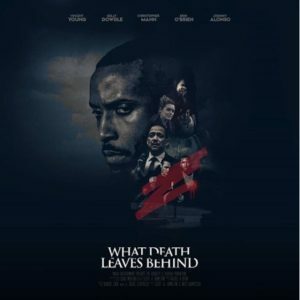 The 21st AAWIC Film Festival kicked off on Wednesday, March 27, 2019 at the SVA Theater with the screening of “What Death Leaves Behind”. 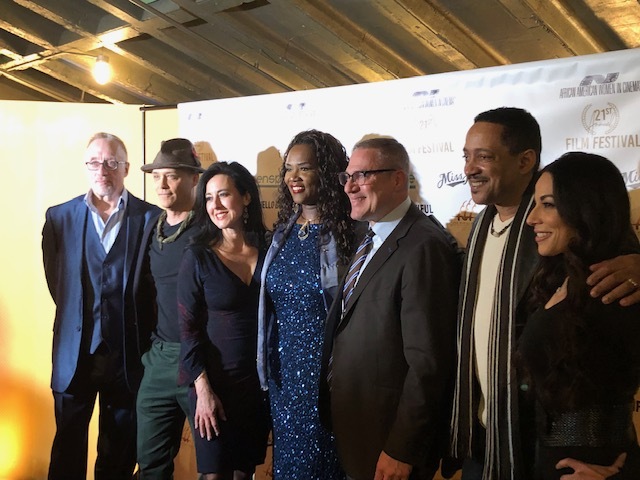 The cast from the opening film "What Death Leaves Behind"
The African American Women in Cinema Film Festival is one of the largest female film events in the country. 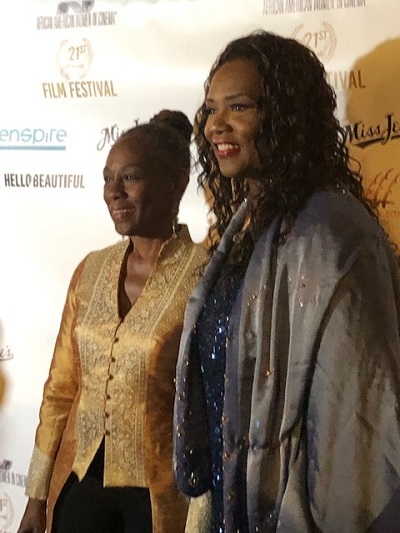 Every year, the AAWIC Film Festival shines its luminous spotlight onto ambitious women filmmakers from all over the country. The 4 day festival consists of panels, film screenings, networking events and ends with an awards show. This year the NYC First Lady, Chirlane Mccray was honored. Since 1998, the AAWICFF has premiered a number of distinctive films which include: The SIN SEER, Produced by Angela White, SEASONS OF LOVE, Executive Produced by TARAJI P.HENSON and BLACK NATIVITY,Directed by KASI LEMMONS, and VIP Red Carpet Opening Night Premiere, SINNERS WANTED starring, Traci Braxton, Clifton Powell, Laman Rucker, Roland Martin and special appearance by Gospel Sensation, Tasha Cobbs Leonard. The festival ends on Saturday night, March 30, 2019, but tickets are still available at the website at www.aawic.org. Also, keep up with the activities via social media on Facebook, Twitter and Instagram. @Judith Davis, I wished I had heard this one or two days earlier. Heather Strickland and 7 others upvoted this.